Peel the oranges, removing as much of the pith as possible, then slice horizontally into ¼-inch rounds. 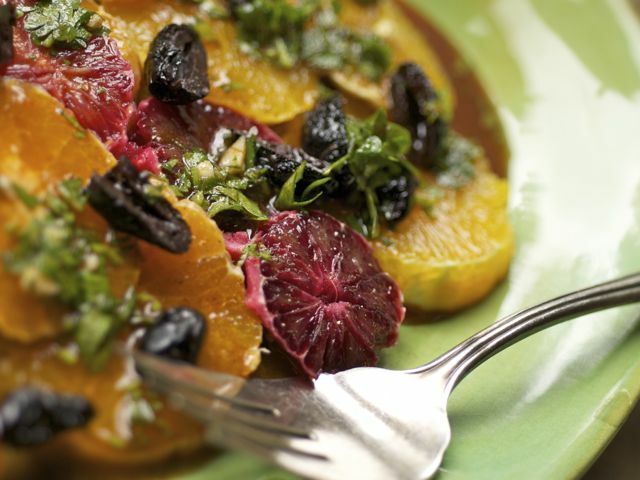 Arrange the orange slices on a serving platter and scatter with the olives. In a medium bowl, whisk together the vinegar, honey, garlic, parsley, paprika, cumin (if using), and olive oil. Drizzle the dressing over the oranges and olives, followed by a sprinkling of sea salt and pepper to taste.